Part 1: Websites – A Great Website that is Easy-to-Use. Part 3: Ecommerce – Online Stores/Online Donations. Part 5: Mobile – The Future of Technology and Ministry with mobile websites and apps. Sarge and Church give you the lowdown on proper gaming etiquette. Performed on Church Online by Joel Limpic and Marcy Preist. Try Church Online at: live.lifechurch.tv See more from David www.davidbowdenpoetry.com Spoken and written by David Bowden for LifeChurch.tv’s Church Online Easter Experience. Song: Christ is Risen is written by Matt Maher. The Church of Michael Radio show: www.kugr.org (509) 335-9595 Saturdays 8-10 pm. pacific standard time. Posted by admin. Categories: News advertising. Tags: Online, Radio, Show. Comments Off on ONLINE RADIO SHOW! Hear it Today… Use it Tomorrow! Creator Leadership Network (CLN) unveiled today the public launch of the first-ever online radio stations exclusively devoted to teaching and training for worship leaders and church musicians at www.CreatorLeadershipNetwork.com. CLN is committed to providing the best, targeted programming to train and encourage worship leaders and church musicians via online streaming radio and podcast access, 24 hours a day, 7 days a week; Creator Leadership Network has been created to be an online resource for the needs of this unique community. Creator Leadership Network is committed to provide content through two online radio channels and podcasts. All programming is in half-hour or one-hour blocks, and is directly targeted to the needs and interests of the audience. The first of two channels, CREATOR WORSHIP is the channel for contemporary worship leaders who lead a contemporary or even more progressive pop-culture service format. This channel focuses on experience and training from worship leaders and experts like Worship Team Training’s Branon Dempsey and Derek Williams, Saddleback Church’s Rick Muchow, or live music producer Tom Jackson. Creator Worship is for musicians who like Lincoln Brewster, Hillsong, Vicky Beeching or the Catalyst movement. CREATOR REVERENCE is “home” for traditional music ministers and choir directors. This channel features insights from choral legends like Doug Lawrence, Joseph Martin or The Fred Bock Music Hour. Creator Reverence includes programming on church history, classic art forms and ensemble performance with more traditional church instruments. Creator Leadership Network has also created a unique network that allows industry influencers the ability to create programming in a radio or infomercial format that targets the needs and wants of this audience. This gives other organizations that fit the qualifications of the site the ability to provide additional quality content to the Creator Leadership Network audience. Creator Leadership Network is founded by Dr. Vernon Sanders, publisher of Creator Magazine, and Scott A. Shuford, founder of FrontGate Media and partner at Extra Mile Merch. Creator publisher DR. VERNON SANDERS has been involved in Church Music and Worship Ministry in some capacity since 1957 serving as rock musician, college professor, expatriate, jazz pianist, a non-profit arts foundation administrator, an author, and a music publisher. He served for many years as Associate Professor/Director of Choral Activities at the University of Regina, Canada, and was Director of Music Ministry at Trinity Presbyterian Church in San Carlos, California for 16 years before “retiring” to devote more time to his family and his position as publisher of Creator Magazine. His education includes a BA (Music Education) and MA (Historical Musicology) from UCLA, and a DMA (Conducting) from Stanford University, but he learned the most about what music is about and how to interpret it from John Nelson in Aspen, and John Alldis in Europe. He was the founding president of the Saskatchewan Choral Federation, the founding Executive Director of the Schuyler Institute for the Arts in Worship, and the founding Charter Member of the Association of Canadian Choral Conductors. Dr. Sanders served for nearly ten years as the Executive Director of the National Association of Church Musicians. He was for 20 years the managing partner of Thomas House Publications, a music publishing company which was subsequently purchased by the Fred Bock Music Company. His published choral works appear in a number of catalogs, and choirs under his direction have appeared on regional and national radio and television in the US and Canada. He is a frequent workshop leader and guest speaker throughout North America. SCOTT A. SHUFORD founded FrontGate Media in 2001, a unique concept that has grown to become the #1 pop-culture media group reaching the faith and family audience connecting organizations to every Christian consumer demographic. His media group audience consists of 15 million subscribers, 25 million monthly page views, and 600,000 attendees at their events. The firm reaches just under 500,000 worship leaders and church musicians making it also #1 in reach to that audience. Mr Shuford has been featured in ADWEEK, and is a regular columnist for Worship Musician! magazine. He has been featured guest speaker at the NAMM 2010 show, Christian Musician Summit 2010 events, Comic-Con International 2010, the Biola Media Conference and other events. He is also a founding partner at Extra Mile Merch, a successful apparel design and manufacturing service whose clients include the award-winning dance crew The Groovaloos, Luis Palau’s CityFest, S3 Magazine, Gotee recording artist B.Reith, Agape Attire, and others. For 10 years Shuford served as a principal in the Orange County, California based ad agency he co-founded originally under the name Big Man Creative. The agency served a diverse clientele, launching consistently successful, innovative campaigns for notable companies such as IHOP, World Vision, Del Taco, Initium Eyewear, Krikorian Premier Theaters, and OCTFCU that garnered coverage in Direct Marketing News, Orange County Business Journal, Orange County Register and Small Biz Technology. In 1997, Shuford brought Gofishnet.com to market, one of the first Christian music web sites, which was later purchased by Crosswalk.com as the foundation of their Entertainment Division. With a heart for the intersection between philanthropy and the arts, Shuford currently serves on Advisory Boards for the Biola Media Conference and the Christian Comic Arts Society, and is active with The Barnabas Group, Evangelical Christian Publishers Association, and Visual Story Network. Mr. Shuford is a graduate of San Jose State University and holds a Bachelor’s Degree in Business Administration with a Marketing Concentration. Upon graduation he was awarded SJSU’s Alpha Al Sirat Award, the highest honor presented annually by the School Of Business to one male and one female outstanding graduating senior. Worship Team Training serves church worship ministries by providing live workshops and online resources to help inspire, create and transform the leading of worship since 2002. Branon Dempsey responded to God’s call to ministry in 1993 to help connect people to Christ through worship ministry. In the same way, God has called you – to reach people for His purposes. The Lord desires for His people to respond to Him in worship as a life – not as a style. The question is, how are you being equipped to reach people through your gifts and skills that are focused in a way that rightly honors the Lord while edifying His Church? Tom Jackson, the #1 Live Music Producer in the industry, helps artists and worship teams develop their songs into “unique memorable moments.” Expressive Worship is a creation of Tom Jackson Productions. It was inspired by Tom’s unique giftedness for helping singers and musicians connect emotionally to the people listening to them, and by Tom’s passion in believing that worship is one of the most important places to have that connection. The Expressive Worship tips from Tom and his team will help you to more effectively guide your worship teams, your own calling as a worship artist, and other Christian musicians into serving as channels of God’s grace. Tom created specific methods and resources based on his seasoned and proven Live Music Methods. Rick Muchow is the Pastor of Worship at Saddleback Church. He has been serving faithfully at Saddleback for 21 years and oversees the Worship Arts ministry which consists of the Creative Arts, Technical Arts and Worship Leadership Teams. Rick also serves as one of 7 Elders which serve the ministry at Saddleback. Rick has recorded 11 albums and has 84 songs registered with CCLI. Encouraging Music publishes all of Rick’s music including sheet music and companion resources for the Worship Leader and congregations worldwide. Rick is the author of The Worship Answer Book published by Thomas Nelson and is a Contributing Editor for Christianity Today’s Leadership Journal. Creator Tech Talk is a program focused on the bridging of gaps that can arise between those leading in Worship and those serving in a media technical capacity. Join Wade as he features practical suggestions with problem solving techniques for those who seek unity between the “folks in the back” and the “folks up front.” Listen to interviews with Media Tech Engineers, as well as Music Ministers and Worship Leaders alike. Wade Odum has over 35 years of media technology experience. Wade has served two of California’s largest Presbyterian Churches: as Chief Audio Engineer/Technician with Menlo Park Presbyterian, and as Director of Media Technologies with Fair Oaks Presbyterian. Indie Extreme’s “Living In The Moment” is hosted by Richie Fike of Fike & Dana. The show is a “Dan Patrick Show” styled talk show with discussions on worship as well as interviews with artists, worship leaders, and songwriters. It also includes a weekly Indie Extreme artist spotlight. Indie Extreme is a label services company partnering with industry distribution giant Universal Music Christian Group to provide major label services to independent artists and labels. Over the last 2 years, Indie Extreme has worked with worship songwriter and artist Richie Fike of the award-winning band, Fike & Dana to accomplish the development of their music, goals and brand. Richie is the full time Worship Pastor at Vanguard Church in Colorado Springs, CO and a writer with Integrity Music Publishing. Fike & Dana won “Song of The Year” at GMA in the Rockies 2008 for their worship song “Ascend to Heaven”. The song was picked up along with “Not Just A Story” by Lillenas Publishing and included in the 2009 Easter Choral Program titled “Ascend to Heaven”. Fike and Dana were named the 2009 New Artist in Worship Leader magazine and have had several featured stories over this past year along with the inclusion of “Who is Like the Father” in the October 2009 SongDiscovery. HearItFirst.com is the best in class, definitive online destination for the Christian music fan. Filled with rich content covering the entire Christian music industry, HIF boasts an array of site features including Exclusive Content Rich Media—videos, photos & audio streams, Genre Sections, Artist Pages, News, New Releases, Store, Tour Information, Community and Blogs. HearItFirst.com is the destination for Christian music fans to connect with a community of other fans and enjoy the newest and most exclusive information about their favorite artists. Since 2006, NewReleaseTuesday.com has been giving listeners a quick introduction to what’s new each week in Christian music. The New Music Update with Bill Lurwick will help keep you “in the know” about Christian music releases. Power Praise is a weekly, 2-hour music show featuring independent artist singles from CRW’s Global AC, CHR, and INSPO charts. Hosted by Ray Gauthier and Adrian Scott, the show also includes the best releases from major artists. Jon Rivers counts down the Top 20 AC Christian singles, as compiled by CRW Radio Advisor, includes Christian Music News, weekly Artist Spotlight, and Jon’s Future Favorite. Under The Radar highlights some of the best undiscovered and under-appreciated tunes from Christian artists. Host Dave Trout shares stories, spiritual insight, and exclusive artist interviews to discover the depth of faith and creativity found in the music. Dan McGowan is an established composer and songwriter of Christian songs for children and adults. His songs have appeared on audio and video projects produced by several top publishers in the Christian marketplace. When he is not writing songs for worship, Dan tours the country as a clean/Christian comic and entertainer helping churches put together outreach events and making people laugh for appreciation dinners, banquets, fundraisers, session meetings and more. Dan, who was a 1st Place Winner in the 2009 Branson Comedy Festival, and appeared on NBC’s “Last Comic Standing,” is based out of Denver, Colorado. Joseph Martin is Director of Sacred Publications of Shawnee Press, overseeing the editorial and creative direction of the company. He has performed solo piano recitals and has been the featured artist with symphony orchestras in the United States and Mexico. Though he continues to perform in concert, he now devotes his efforts to playing in churches and for conferences of church musicians. His first solo piano recording, “American Tapestry”, was nominated for a Dove Award. He has recorded for Yamaha’s Disklavier series and has composed hundreds of commissioned works. Recognized throughout the United States for his many choral compositions, Joseph has over a thousand compositions currently in print. His music can be heard in such diverse locations as Carnegie Hall in New York City; the Lawrence Welk Theatre in Branson, Missouri; and in hundreds of worship services in churches across the United States and Canada. Mark Lawson reviews new choral publications and tried and true favorites from the MorningStar catalog. Mark Lawson has been President of MorningStar Music Publishers since 1997. He is also active in the Church Music Publishers Association and the National Music Publishers Association. Prior to joining MorningStar he served as the Minister of Music in churches in Missouri and Louisiana. From 1997 to 2003 he conducted the Gateway Ringers, a select handbell ensemble active in the St. Louis metro area. He remains active as a clinician and writer. An exciting hour of interviews with some of the most creative people in church music, hosted by Stephen Bock, this show is more than just listening to great music. It is a journey to better understand the people involved in its creation and how each piece can be effectively used in worship. Stephen Bock serves as President of Fred Bock Music Company. After graduating from Occidental College, Mr. Bock spent fifteen years in the television and film business, working as a writer, producer, and editor on many award winning documentaries and network specials. Following the untimely death of his father, Fred, Stephen returned to the family business in 1999 and has been there ever since. He says that his tenure in the music publishing business has been a “thrilling ride and I’m glad to be working with such universally talented and nice people.” Currently, he is the President of the Church Music Publishers Association. A new site is now available that provides churches, clergy and others with the ability and convenience of quickly ordering hand-made church furniture online. The new Web site is Church Furniture Store (www.church-furniture-store.com). The site offers a one-stop location for custom-made furniture; offering different styles of furniture, wood stains, colors and fabric options. Once ordered, products are shipped directly to the churchÂs front door. Church needs often change year to year. New churches are built, some grow bigger and others are remodeled. Because there is so much change, furniture needs change as well. In the past, the only way to order furniture was through a brick-and-mortar storefront. Options were limited and searching for the new product was time consuming. 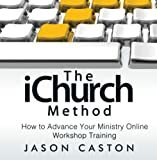 Along with the growth of the Internet, many churches are now doing their shopping right from the church itself, via a computer. Full-color photos are available along with specifications, measurements and recommendations. Furniture selection includes: altars, communion tables, pulpits, church seating, confessional screens, and more. After browsing through furniture choices, church members can call a customer service representative to place an order and discuss customizing the furniture. Once the order is placed, the furniture is made-to-order and shipped directly to the church. Another convenient feature is the shopping cart. Hand-made church furniture can be added to the secure shopping cart, including color, stain, fabric and model preferences. The shopping cart feature saves time, requires little effort and requires only a few mouse clicks. Once an order is submitted via the secure cart, orders are built and then shipped. Standard models of altars, tables, chairs and more are not always what a church needs. This has been taken into consideration. Because of this concern, custom modifications can be made to most furniture. This allows the furniture to be tailored to a churchÂs exact needs. Wood and fabric samples are available upon request. To view Church Furniture StoreÂs complete office product and furniture lines, visit www.church-furniture-store.com. For information about church furniture, call toll-free (1-800-257-2968) Monday through Friday from 7:00 a.m. – 6:00 p.m. MST. A knowledgeable customer service representative can then assist with answering questions money handling. For further information, please contact Morgan Cloward, Marketing Supervisor of Church Furniture Store, 1-800-257-2968, info@church-furniture-store.com.